There are no bad dogs. For that matter, there are no bad dog parents — merely dog parents who need to understand the value of good training. When Camp Bow Wow franchises add a Behavior Buddies training program to their menu of services, it’s a win for everyone. The rewards-based training program not only provides an additional revenue stream for Camp Bow Wow franchise owners, it helps improve the lives of dogs, says Erin Askeland, Training and Communication Manager for Camp Bow Wow. When they sign up their dogs for Behavior Buddies, customers can choose from group classes, one-on-one in-Camp training sessions, puppy training classes and even in-home private training. “Rewards-based training has been scientifically proven to be the best method to train not just dogs, but humans,too — and any other mammal, for that matter,” Askeland says. The on-site training is followed by testing, and trainers must complete monthly assignments to maintain their certification. It’s serious business — and a whole lot of fun, says Laurie Williams, who owns the Newark, Delaware, Camp Bow Wow. “Camp is a FUN place for dogs,” Williams says. “Our trainers keep it fun and use only rewards-based training to facilitate communication between people and dogs. Currently, about 85 of our 130-plus locations offer Behavior Buddies services. Generally, the Behavior Buddies trainer is a full-time position for a franchise owner’s Camp. Part of the Camp Bow Wow mission is to make lives better for dogs. The charity work we do, which includes working with local shelters and animal groups and fostering dogs for adoption, helps improve the health and well-being of dogs everywhere. Trainers also give back by working with shelter and foster dogs and by being a community resource for teaching safe handling and interactions between people and dogs, particularly kids. It’s part of Camp Bow Wow’s dedication to improving the lives of dogs, and it reinforces our corporate culture of giving back to the communities we’re in. Teaching a dog about what is and isn’t appropriate play and behavior, and instructing his human on how to elicit those good behaviors, helps accomplish that by deepening the bond between dog and dog parent. Dogs can be trained as puppies how to behave properly — some programs offer training as early as 10 weeks — and the training can benefit senior dogs, too, by providing mental stimulation. “Some Camps want to provide that personalized attention and element of fun for the dogs — and it can be fun for building that relationship between the parent and the dog,too,” says Askeland. “Training is also really great for providing mental stimulation for older dogs. Requiring them to use their brains in new ways can really help them improve mental declines, it adds an element of fun to their lives and it helps them be more active. 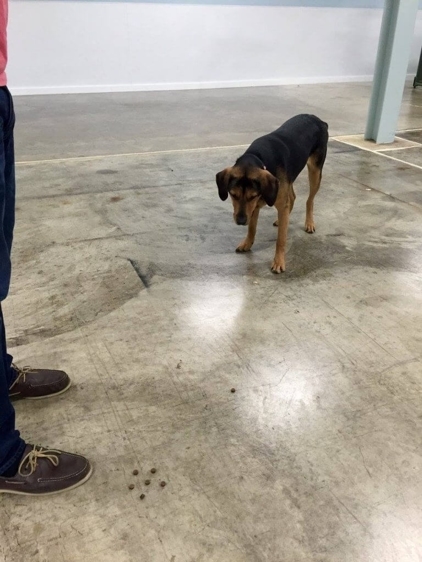 Chewey practices her new skill of listening to the “leave it” command during Behavior Buddies training. Our Camp franchise owners benefit by offering the services of highly skilled trainers at a fair price, and by having someone on their Camp staff whose knowledge and understanding of canine behavior enhances the level of services we provide overall. Would you like to learn more about the Camp Bow Wow franchise opportunity? Simply fill out the form at right to download our free franchise report and explore our research pages.